Temple & Webster is all about the home. Our aim is to inspire our customers to create beautiful spaces in their home with the best of Australian and international design, beautifully priced. 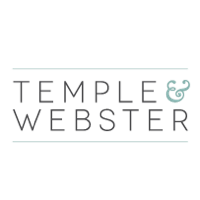 Temple & Webster is a well known and reputable online brand that is dedicated to bringing its customers elegant, beautifully curated collections of premium and designer brands for the home.